Recently we reached a very exciting - and bittersweet - milestone. We said goodbye to Hope's crib. It's a weird feeling for me to know that I'm done with cribs forever. It went so fast! It also came much sooner than her brothers transitions. Gavin was four when he moved from a crib to his bed (the one Brian currently sleeps in!). That is really a long time to stay in a crib, but that is where Gavin was safest so there was no real reason to move him out. He had no concept of danger and would have fallen right out or gotten himself hurt in a regular bed, which is why we bought him the Courtney Bed. It was a safe bed with a zipped up enclosure. 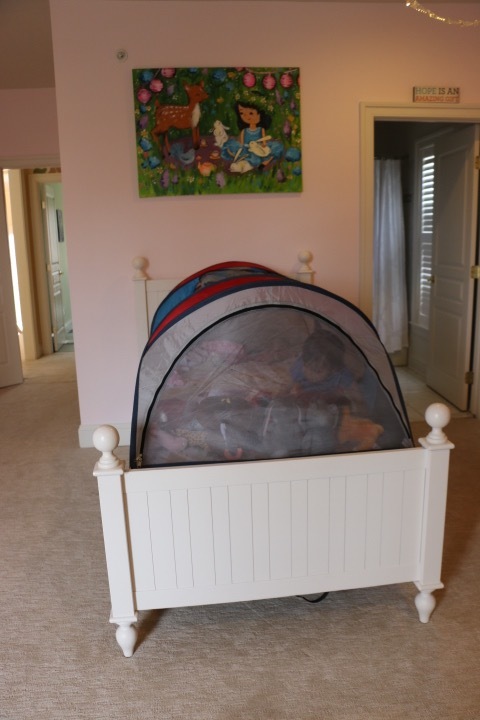 Brian wasn't ready to move out of his crib until he was three! He climbed out once and that was that. He moved to a full size bed with long side rails and stayed in one spot from bedtime until we woke him up in the morning. He's still that way! 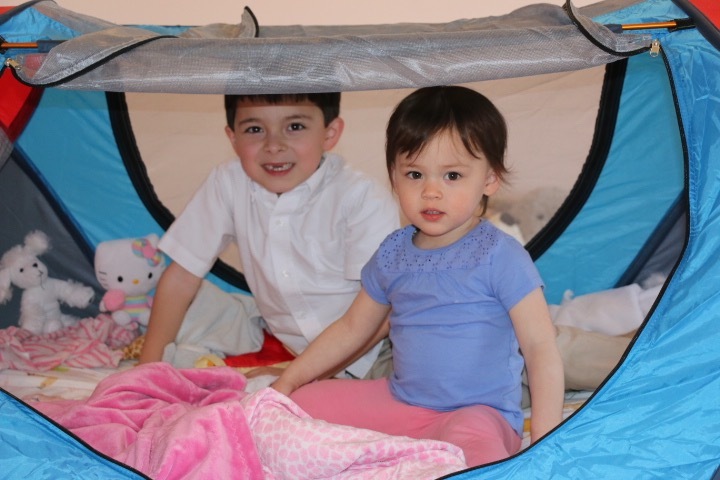 We used it on our last trip with him when we paid a visit to a specialist at Washington National Medical Center in D.C. Gavin LOVED his bed tent and giggled all night in our hotel room after we zipped him in with his light up "Twilight Turtle." It's not just for travel. 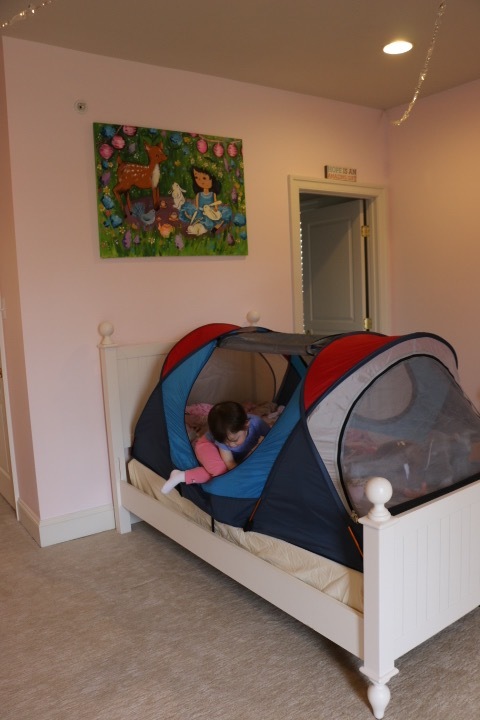 Many families buy this bed for home use - especially if they are concerned about child who may wander during the night. I felt a need to hold onto this tent after Gavin died - and didn't really know why. We gave nearly all of his things like this away so other kids could use them. But now I understand. It was like it was meant for Hope. Ed and I agreed that we'd give it a try. If she was scared of it or didn't like it - we'd just put her in a bed with side rails and pray. A lot. I was a little nervous when we said goodbye to the crib and she threw a little fit. But it turns out that was just about being two - and I said one word when she wanted to say another - or some other very critical mistake I'm sure I made. You know, "two stuff." 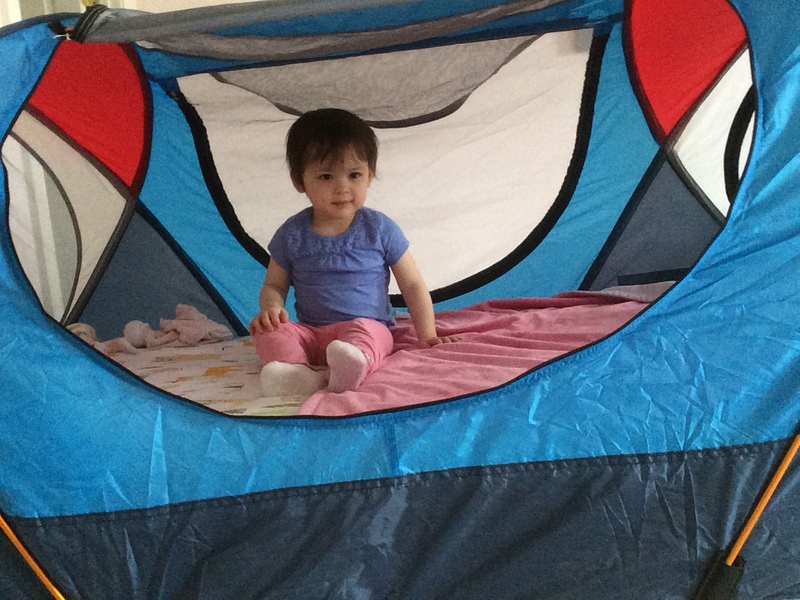 She helped me set it up in the same spot where her crib was and was very excited with the whole process. We loaded up the bed with all of her "guys" and favorite blanket and she climbed right in to explore. ...it was time for the first test. Nap time! She slept all afternoon - a much longer nap than usual. I was constantly watching the video monitor for signs of unhappiness, but heard no complaints! She woke up happy and couldn't wait for Brian to get home so she could show off her big girl bed. "Show Brian?" was her mantra for an hour before he came home. Brian won the "best brother" award for the fuss he made over Hope's exciting news. 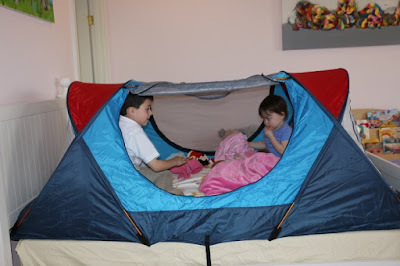 His voice went up an octave as he sweetly asked her, "Hopi, want to show me your big girl bed? I can't wait to see it!" They rushed up the stairs together and jumped right in so she could give him the tour. 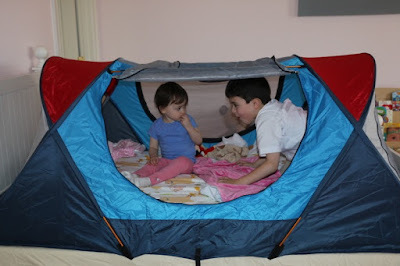 As I sat and watched them play in Gavin's bed, it was hard to contain my emotions. Who would have ever thought that I would have two children sleeping in two of Gavin's beds after his death? Surely not me. It feels so special. So right. And they are both happy and think they have the coolest beds ever... so that's a bonus. I feel very lucky that Hope was so laid back about this big transition. She never looked back from that first nap! I took a video of her just waking up after her first night's sleep in the bed. As you can see, she's pretty "chill" about the whole thing. Like she's been sleeping in a "tent bed" for her whole life. Hope is changing and growing so quickly. It's all going MUCH faster than I remember with the boys! She does so much more and it always takes me by surprise. She is busy and fun and sweet and happy. She is now singing songs and voicing stronger opinions and gives the best hugs and kisses. 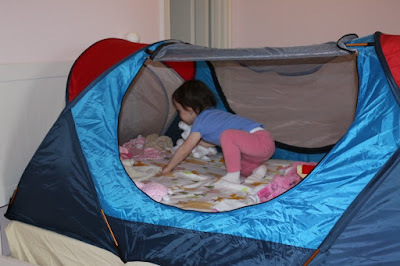 I won't lie to you - having a very active toddler at my age is a special kind of exhausting. Especially with Rheumatoid Arthritis on top of all of it. But even with those challenges - I still wish that I could slow it all down. I love this little girl that took us all by great surprise... and I don't want to miss a second of her exciting life. I hope I can always keep up. Every day is an adventure with my sweet Hope.